For Mother’s day last weekend I decided to make my amazing Mum a yummy breakfast as a treat! She loves pancakes so it was an easy decision on what to make. We had lots of ripe bananas that needed using up so banana pancakes it was! They were light and fluffy and crispy round the edges, and topped with a chocolate soya sauce, berries and even more banana, they were absolutely heavenly. Whats more, they are really healthy! 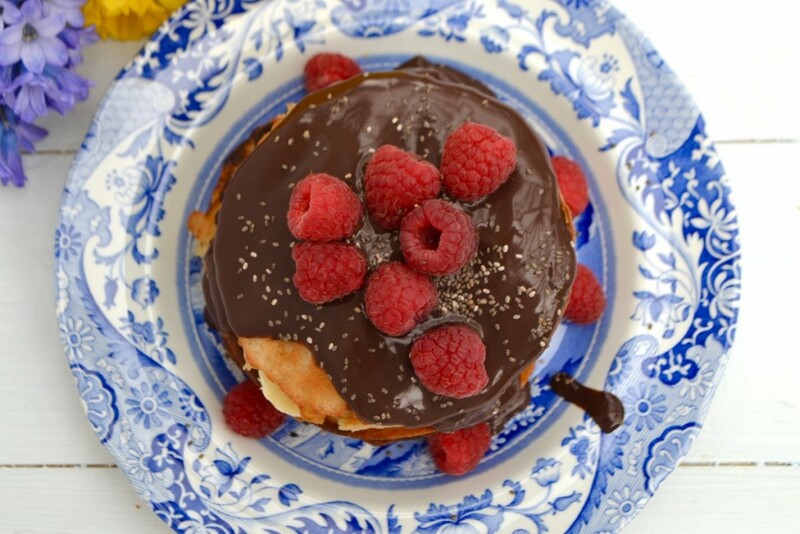 Who knew pancakes could be good for you?! But these really are as they’re made with natural, wholesome ingredients. I hope you give them a try! 1 tbsp Wedderspoon Organic New Zealand Wild Rata Honey. Add all of the wet ingredients to a food processor and process, then add the dry and process again until a batter is formed. Heat up some coconut oil in a pan over a medium heat. Add several tbsps of the mixture to the pan. Once you see bubbles form, flip your pancake and cook on the other side. 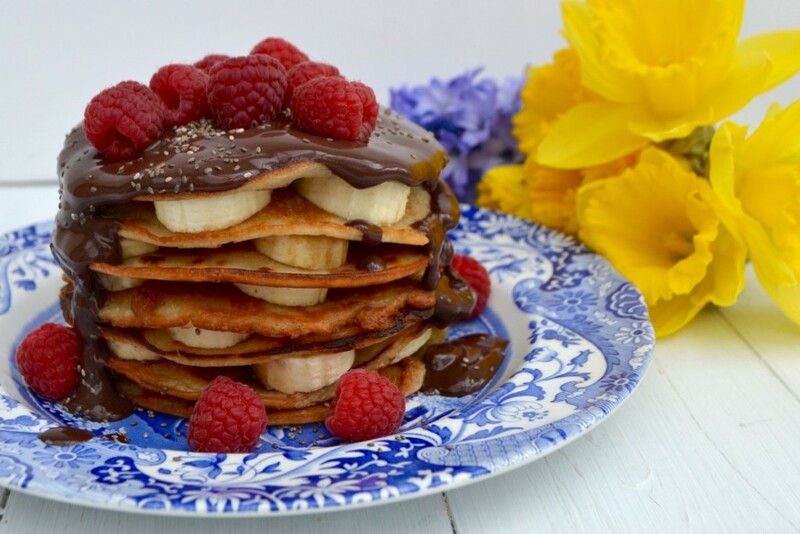 Continue making pancakes until you have a little stack Top with some chocolate soya yoghurt, raspberries, chia seeds and banana. Enjoy! I have had a lifelong hate of bananas and can’t even be in the same room as them, but I thought it was about time that I toughened up and tried to eat them ‘in’ something, and I can confirm that you may have got me over the fear of them after I made these today, they were truly delicious Sophia! That’s amazing news Charlotte 😀 Well done you on giving bananas a go again! I despise mushrooms and am yet to find a recipe that converts me.